As the larger counterpart of the 1250, the 1750 is also a value-priced stove that produces great heat. 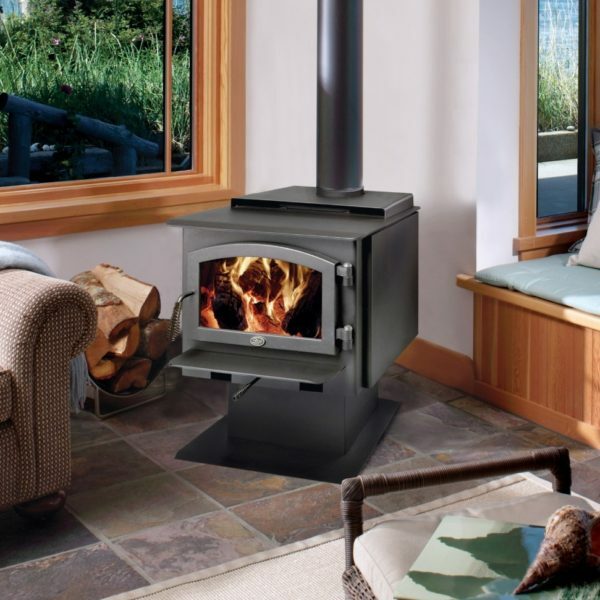 This stove is perfect for heating medium to large sized homes and zone heating larger living spaces. With the 1750 you get no firlls added – just beautiful, efficent heat. This stove also features a large cook-top surface and has the choice of decorative legs or a pedestal. Alcove and Mobile Home approved.